I wrote this book to encourage you to create a Biblical legacy for yourself and others. 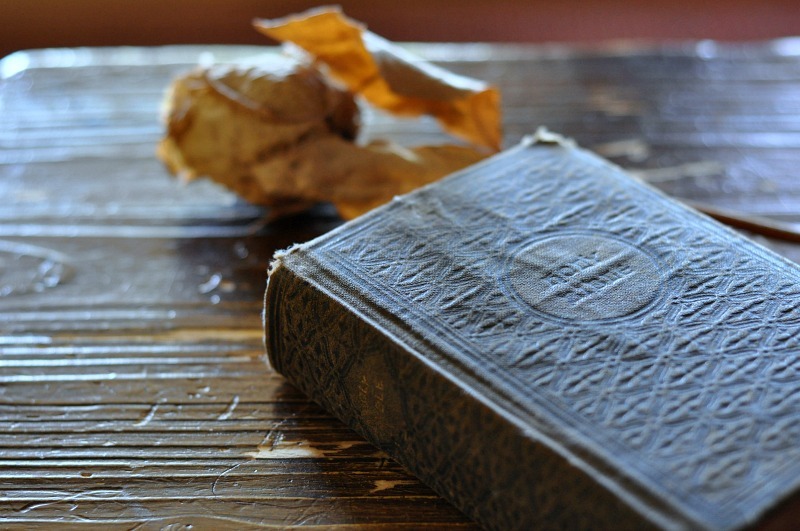 I begin this book by telling you a story about my great grandma’s Bible, pictured above, and as you move through the book you’ll be invited into my own Bible. 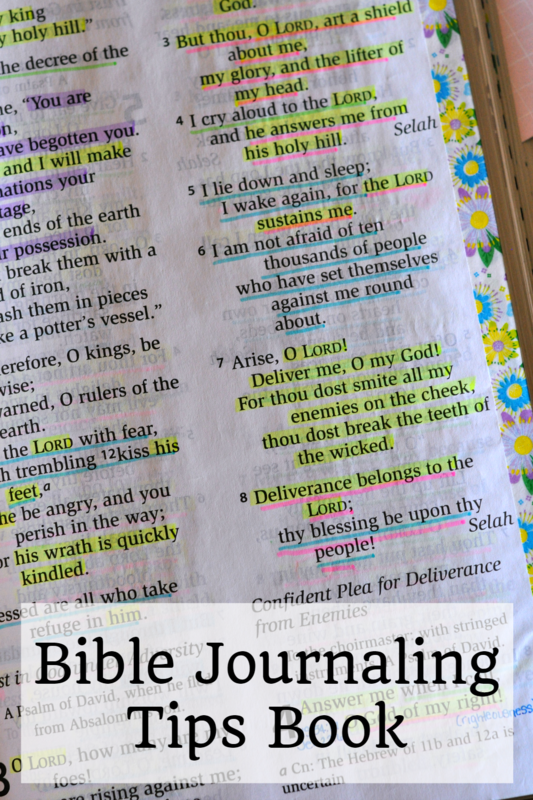 I explain when and why I started Bible Journaling. 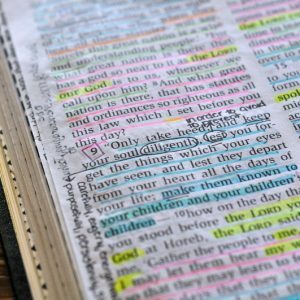 I tell you how I do it–even sharing my personal color marking guide. I’ve included pages of topical studies, a 31 Day Proverbs Reading log and a lovely free printable with encouraging verses reaffirming God’s love for you; my copy of this printable hangs by my bathroom mirror. 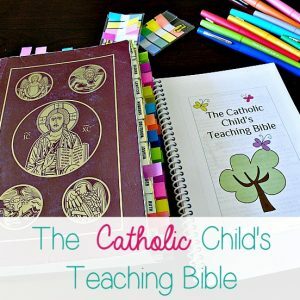 I also asked Meg Hunter-Kilmer, writer at Held By His Pierced Hands, conference speaker and Hobo for Christ if I could include her One Year Daily Bible Reading plans in this book and she said “Yes!” You’ll find two different options included to help you stay on track or get back on track with daily Bible reading. One last word, I don’t take your purchase lightly. I appreciate that you’ve chosen to spend your money on my book. Please know, I worked hard on this book–just for you. 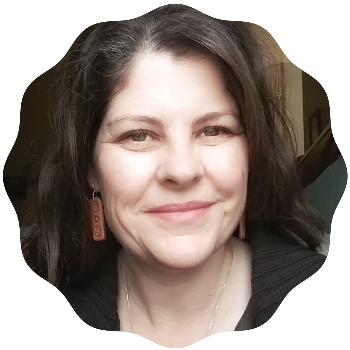 I carefully considered the story I wanted to tell, the ideas I wanted to share and the work I could offer you. 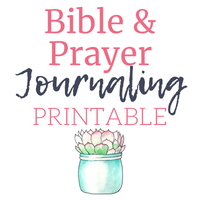 Click here and here to find our more about my favorite Bible Journaling resources and tools.